I'm back with another makeup look taken from my instagram, but worthy of writing up on the blog due to it being hugely popular on my IG! This look is a recreation of Ariana Grande's makeup in her latest video after she's been in hiding for months. 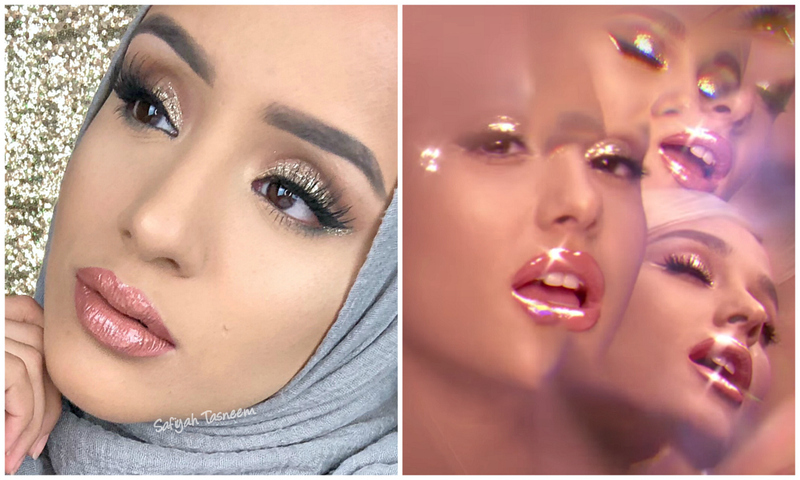 There's a few looks in her No Tears Left To Cry video including a smoked out extended wing eyeliner look, but I chose to recreate the glitter underliner look with matte lips and the full on glitzy eyes and lips look. It was created by none other than Mario Dedivanovic (Makeup By Mario) and when I saw the full on sparkly look I was obsessed and knew I had to try and recreate it. 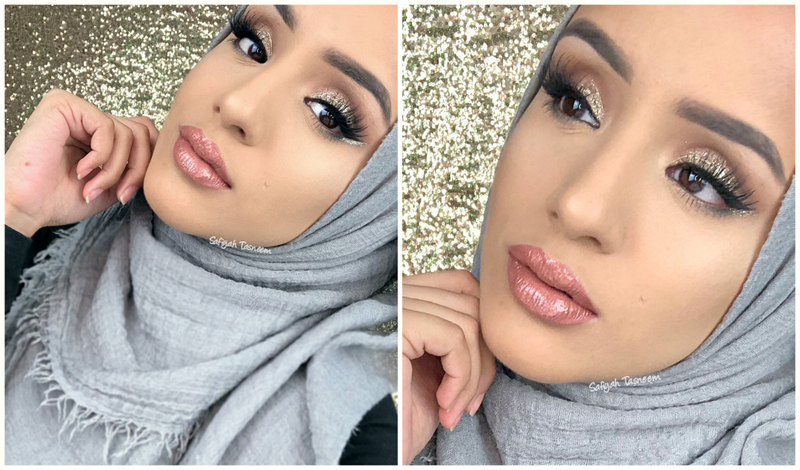 Read on to see the products used in these too looks! I analysed the makeup as hard as I could to figure out what products I could use that would work best and decided on the ABH Soft Glam palette and UD Heavy Metal in Midnight Cowboy for the glittery under liner (my fave glitter liner for years, along with Spandex!). 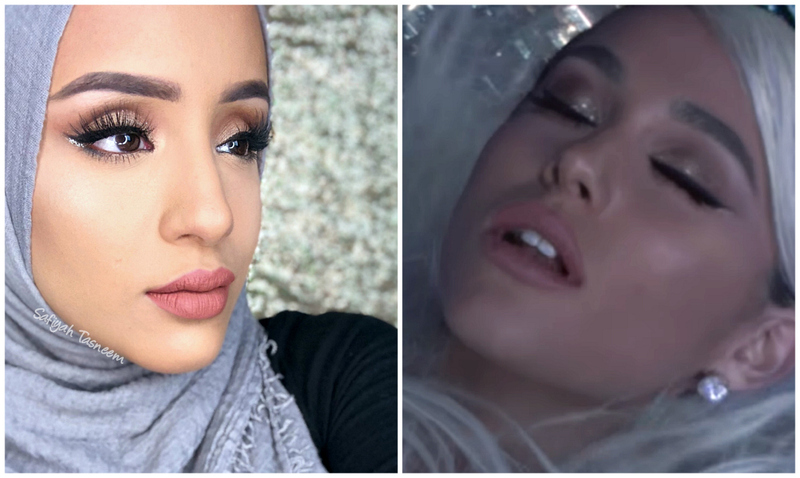 The Smashbox Always On liquid lipstick in Stepping Out looked like a similar sort of shade used on Ariana and I went with a slightly ashier brow shade as Ariana's looked more grey (although this could be just the lighting in the video!). The Hudabeauty Camille lashes looked like they were the best lashes to go for this look as Ariana's kind of looked like faux mink and fuller on the outer corner of the eyes like the Camille lashes. The second look is of course full on glitz, so not for everyone but super pretty and fun to recreate. I thoroughly enjoyed recreating these looks and will be posting some more Mario related things next on the blog, so keep an eye out! Would you wear this makeup look?